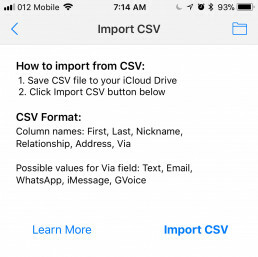 CSV Import Functionality – now you can import contacts from a CSV file. Google Voice two-factor authentication support. Performance improvements. We’ve changed the way Reach loads your message templates and contacts. Now you can load over 1000 messages templates in lightning speed. Free users get to enjoy two groups and eight contacts once again.